Forget driverless cars, the next attempt at sending out hype is captainless ships! 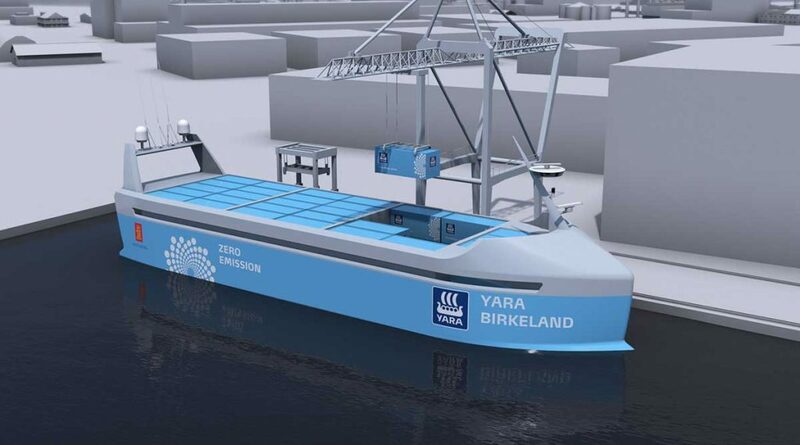 According to Bloomberg, the Oslo-based Yara International claims that it will have this ship ready to sail on its own by 2020. Since I had never heard of it, I had to look it up, and Wikipedia had some interesting things to say about the company. Yara International ASA is a Norwegian chemical company. Its largest business area is the production of nitrogen fertilizer, however it also encompasses the production of nitrates, ammonia, urea and other nitrogen-based chemicals. Now, while there is certainly words to be said about diversification, and while the company certainly owns ships, it is a far cry for anyone to claim full autonomy is just a few years away. While, indeed, autonomous algorithms have come a long way to reacting to the things we have programmed into them, that’s just about the limit – what we, as human designers, can predict and prepare them for. Certainly, there is also a case that the systems aren’t so dumb, and that DNNs will clear that final hurdle, but the fact remains that those methods are more or less revolving around pattern recognition. They have very little recognition of what the input data and output data actually mean, and, thus, have a tendency to produce almost comically inept results when asked to improvise. Let’s keep captains employed for a while longer, shall we?